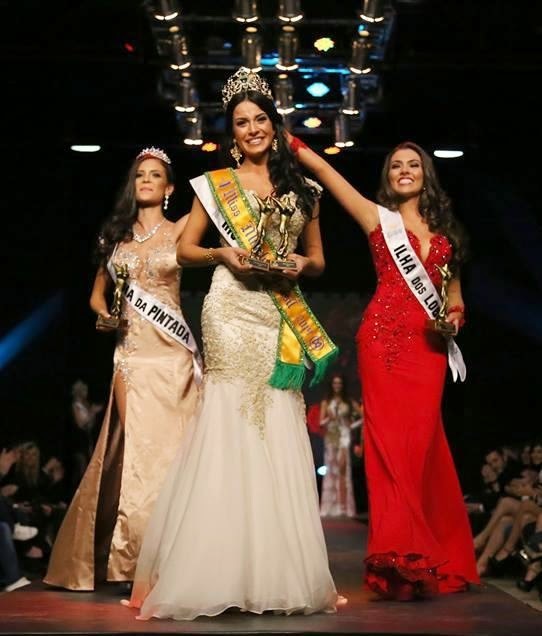 21 year old Julia Weissheimer Werlang Gama from Porto Alegre, Rio Grande do Sul was crowned Miss Mundo Brasil 2014 held at the Costão do Santinho Resort, in Florianópolis last August 9. 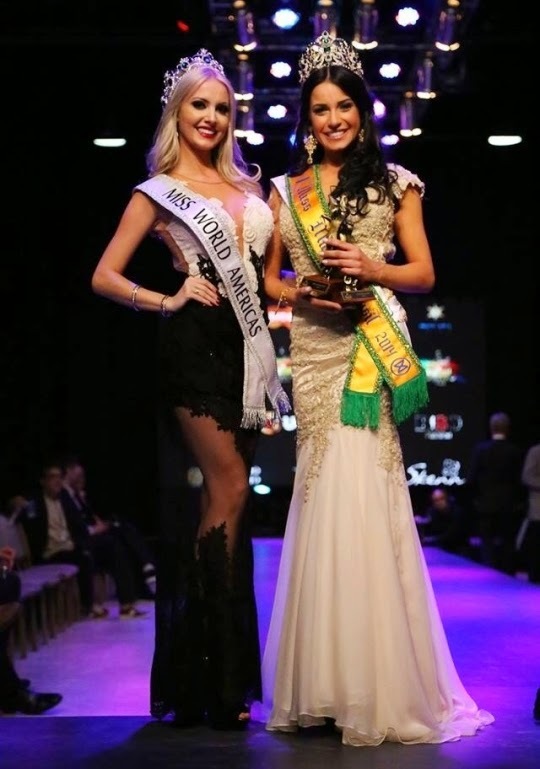 She received the new Brazilian crown from the hands of Miss World Americas 2013 Sancler Frantz. The 1st runner-up was 17-year-old Vitoria Strada, Miss Pintada Islands, while the 2nd runner-up was Miss Lobos Island, Vitoria Bisognin. Miss São Paulo, Victoria Ceotto, finished in 4th place, and Miss Santa Catarina, Elisa Freitas ended in the 5th position. The regional queens of beauty, announced on stage, were Camila Nantes of Mato Grosso do Sul (Miss World Centro-Oeste), Rafaela Machado of Sergipe (Miss World Nordeste), Hanna Weiser of Amazonas (Miss World Norte), Victoria Ceotto of São Paulo (Miss World Sudeste) and Julia Gama of Rio Grande do Sul (Miss World Sul). Winner of Beauty With a Purpose was Miss São Paulo, Vitória Ceotto. 40 finalists participated on this year´s final event, which had as very special guests Nicklas Pedersen, Mr World 2014, Lucas Montandon, Mr Brazil 2015, Roberta Pereira, Miss World Brazil 1986, Jane Borges, Miss World Brazil 2006, Tamara Almeida, Miss World Brazil 2008, Juceila Bueno, Miss World Brazil 2011, Yoana Don, Miss World Argentina 2014, among others. Miss World Brazil 2010 Kamilla Salgado was one of the hosts, along with Cris Barth and Francisco Budal. The new Miss World Brazil was the winner of some important preliminary events: Beach Fashion, Best in Gown, Top Model, Most Beautiful Face, Multimedia. She placed 2nd in Beauty With a Purpose and Interview, and 4th in Talent. Standing 1.77m tall, Julia currently works as a chemical engineer. Aside from the titla and crown, she will also receive a full university scholarship by Estacio, a brand new car and will now get ready to compete in Miss World 2014, in London, England on December 14.